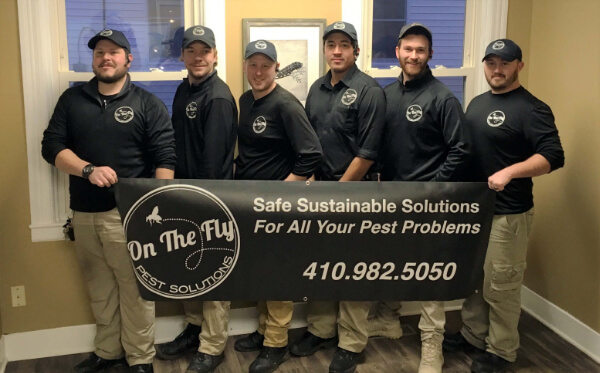 On The Fly Pest Solutions provides pest control and wildlife service throughout Baltimore and Howard County. We are committed to providing you the highest quality of service and the most up-to-date treatment methods and techniques. Most importantly, we are devoted to delivering safe, sustainable solutions for all of your pest problems. Safe solutions for you, your family, your pets, and your home. And sustainable solutions for the environment. 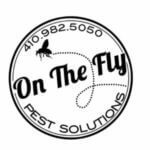 On The Fly specialize in IPM, Integrated Pest Management. IPM is an environmentally conscious form of pest control that relies on a combination of practices to solve your pest issues. Practices include education, exclusion, and prevention as well as understanding the habits of pests and their interaction with the environment. Instead of treating symptoms, IPM deals with the problem at the source and minimizes your need for future treatments. There is nothing more important to us than safety – for you, your kids, your pets, and your home. The products we use are all EPA tested and certified and our technicians are all licensed and trained in their application. Our company is fully licensed and insured, giving you the peace of mind you deserve. Being a responsible steward to the planet is a priority for On The Fly. Our professional practices reflect our level of commitment to the environment. We implement many different practices to decrease the overall consumption of fossil fuel – mindful routing, driving appropriate-sized vehicles, and aggressive fleet maintenance. Utilizing the IPM protocols, such as sealing up entryways and preventing the pests from entering enables us to minimize chemical applications. Additionally, we make an effort to patronize local vendors and businesses wherever possible. We believe in re-investing our dollars into our community. Solutions are our specialty! We are here to provide you with answers to all of your pest problems! We are not a ‘one size fits all’ company. Allow us to customize an IPM program that will address your home’s unique needs taking into account your family and lifestyle. We guarantee that you will be satisfied! 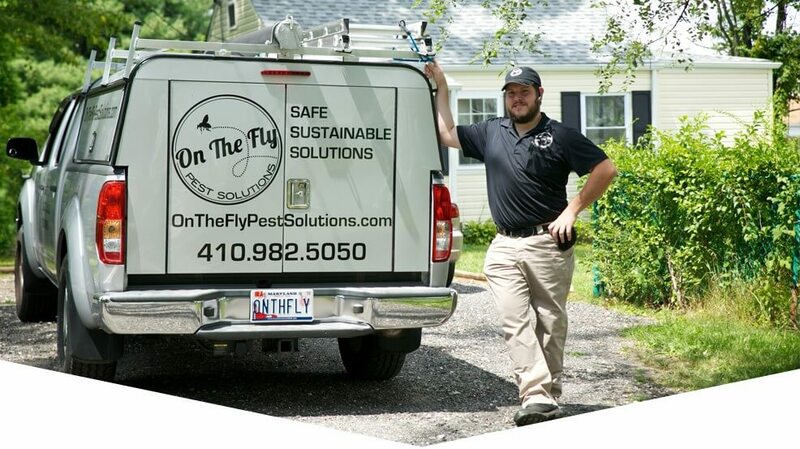 Our goal is providing our customers with safe and sustainable pest solutions. We employ trained, licensed and trustworthy technicians. We use internationally accepted, environmentally-friendly and low-risk products. With over a decade in the pest control field, we have earned a name for quality pest control service. On The Fly is committed to providing the highest quality service to every customer. If you are not completely satisfied with our service, please inform us to that we may resolve the situation. Our company is fully licensed and insured, giving you the peace of mind you deserve. We use environmentally responsible treatments and follow all EPA and MDA regulations. We are also fully licensed with the Maryland Department of Agriculture. Our technicians are trained and licensed in product application. We also provide recurring training sessions in order to keep our technicians up to date with the latest pest control treatments. We are here to provide you with answers to all of your pest problems. Contact us for a FREE estimate.